Humans are inherently curious. Psychologists trace our nature of being social and learning about each other back to the roots of civilization. Back then, we were social solely to survive. Those who paid close attention to their surroundings were able to adapt and make wise life decisions. In the context of the internet, we leisurely consume content simply because technology makes excess information readily available. Taking content consumption one level deeper, it’s clear that we crave juicy information. We love the surprise, exhilarating feeling that is a by-product of creeping and gossiping about newfound information with our friends. Secrets are a form of social currency. Finding the dirt on someone to boost yourself on an imaginary social status ladder is something we’re all guilty of, and the internet makes it much easier. Venmo is a standard P2P payment app, but what makes it different is its social feed. Why pay your friend back with the cash collecting dust in your wallet when you can make the details of the transaction public and get likes? Where did they go? How much was that payment? Are they dating? Why wasn’t I invited? Are all questions that spark in user’s minds when scrolling through the feed. There’s a part of me that wants Venmo to make the dollar amount of the transaction visible, but that would take away the buzzworthy part of the app 一 creeping. Curiosity killed the cat. 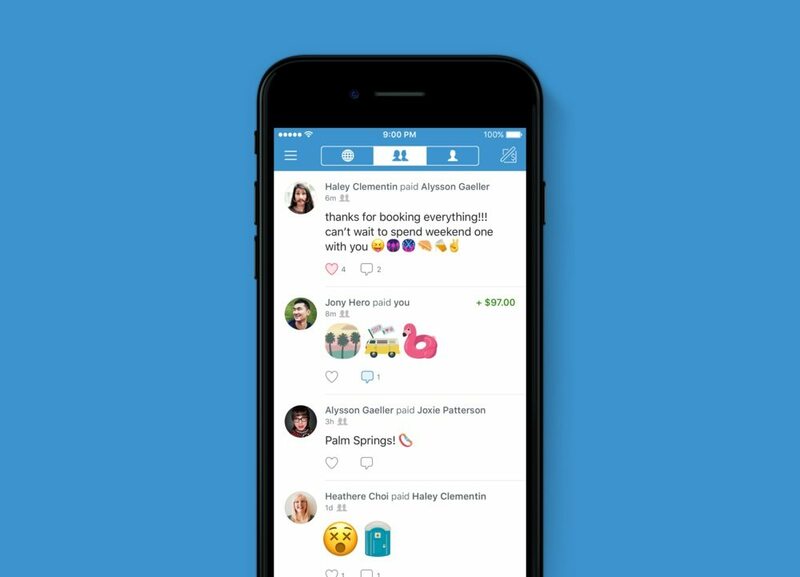 Venmo’s brand of making adulting less awkward is solely tied into the feed, and without it, the app wouldn’t be used as a verb.